Whenever we can, we’re taking our shopping trips by ourselves precisely because the same trips with kids in tow can be a bit of a pain. 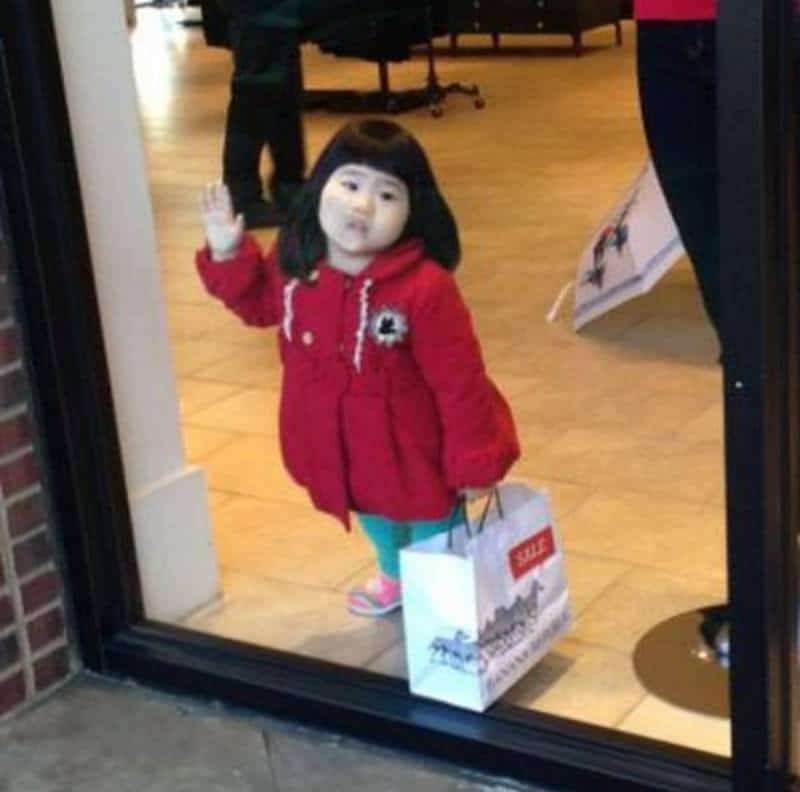 Some kids are just whiny and are willing to let us know over and over that they’re ready to go home. Other times, the kids will go out of their way to make sure we know they’re ready to finish up. When we aren’t willing to go home, they’ll make their own fun while they wait. Sometimes this amount of fun means making a mess, other times it just means making trouble. 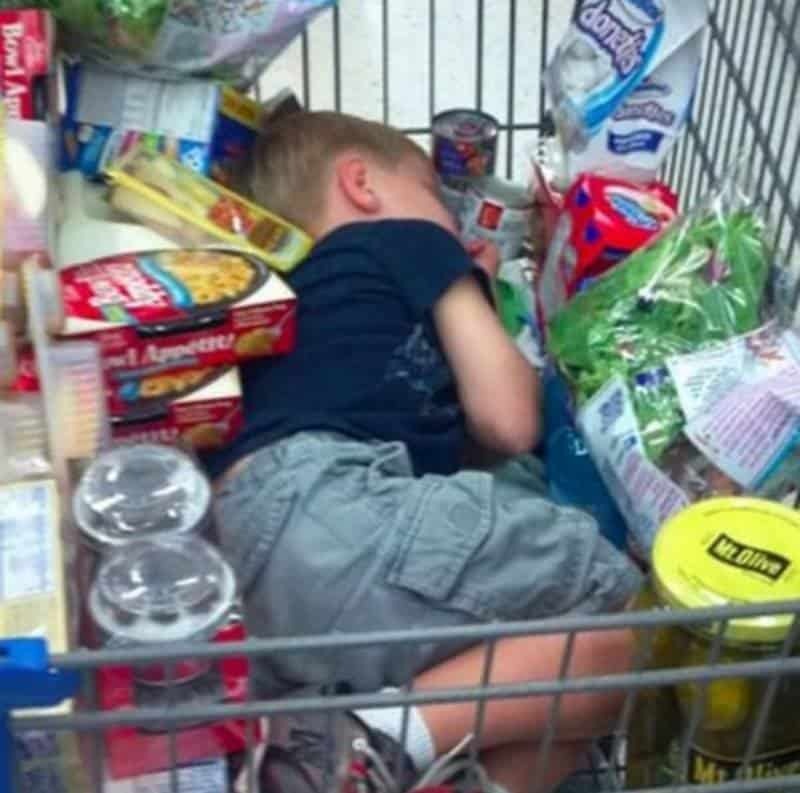 Whatever the answer — check out our list of 10 hilarious photos that show how shopping with kids is an uphill battle. 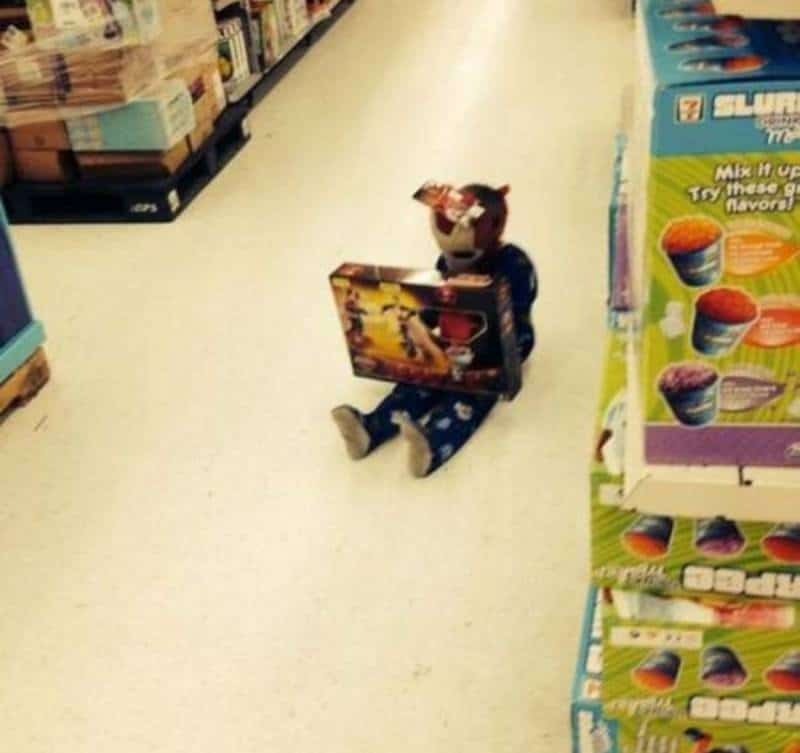 You’re not usually going to find your husband or wife or significant other sitting down in the middle of the aisle to play with a store’s toy. Kids will, and they won’t think twice about it. 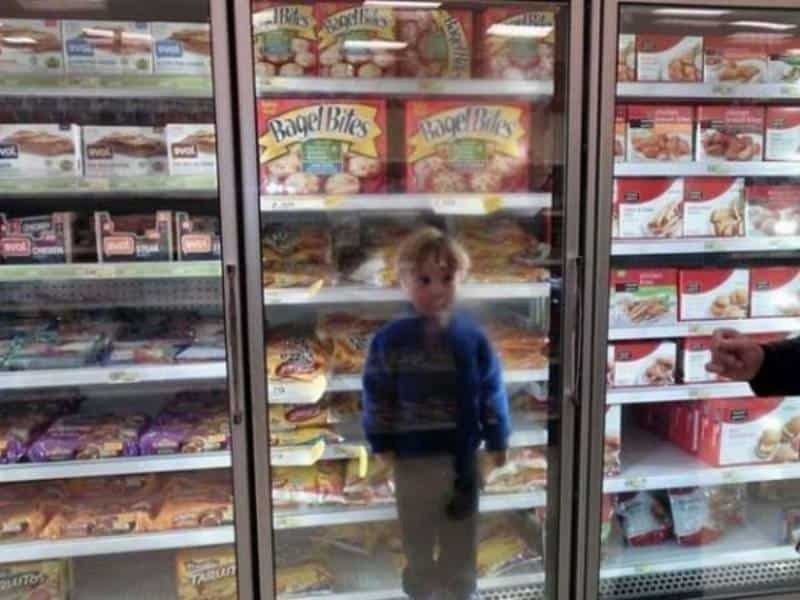 Kids aren’t willing to wait until we’re done. Sometimes, they willing to go to extremes to show us just how ready they are to leave. This is actually one of the most peaceful pics in the bunch. We just wonder how hard it was to let go and go home. 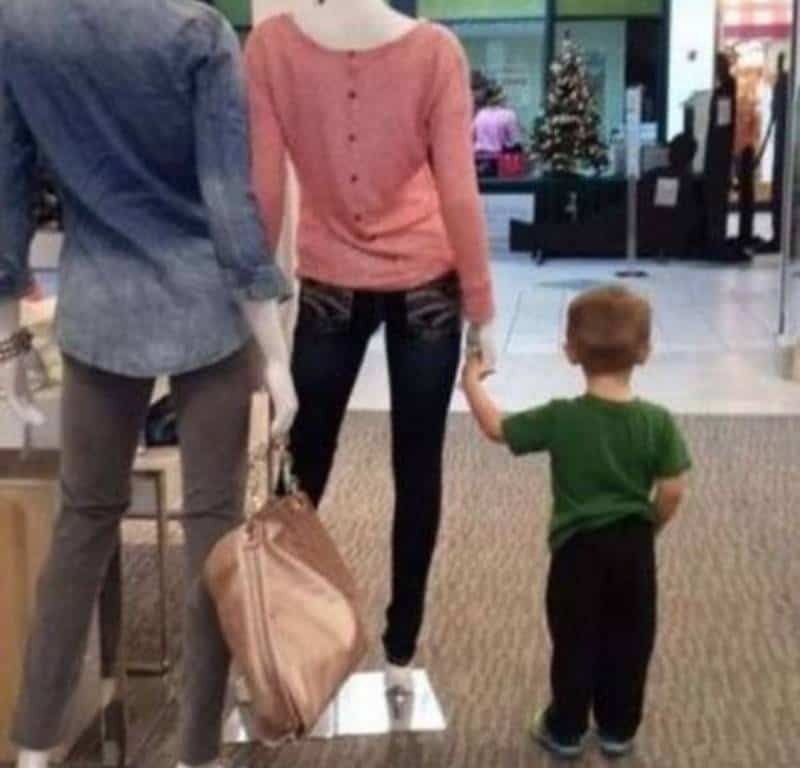 Sometimes the kid literally can’t go on. 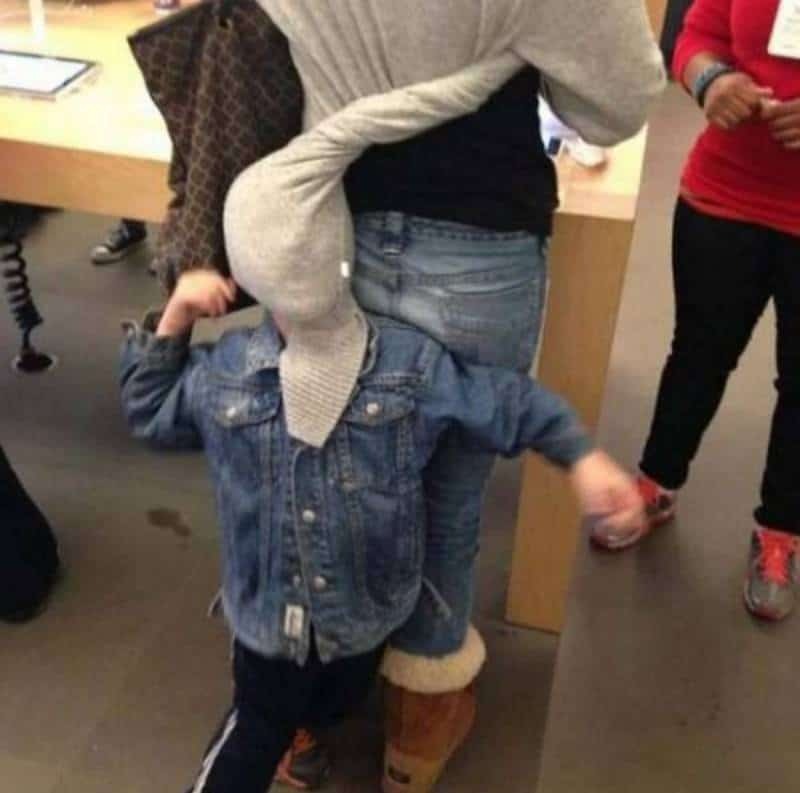 At least this parent found a way to stow their kid while they finish the trip. 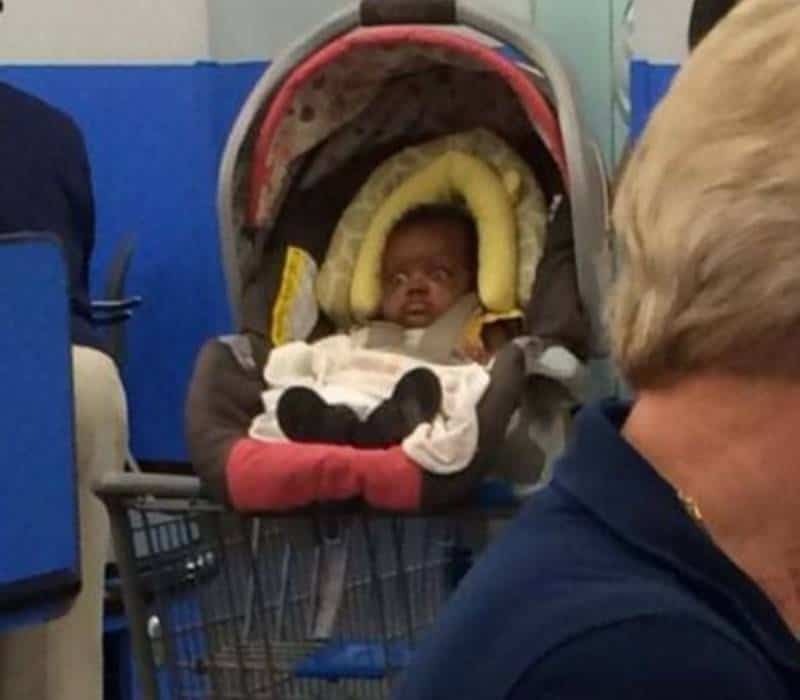 The expression on this baby’s face says it all. That baby is very much ready to go home and he’s mere seconds from making everyone’s life a living hell. 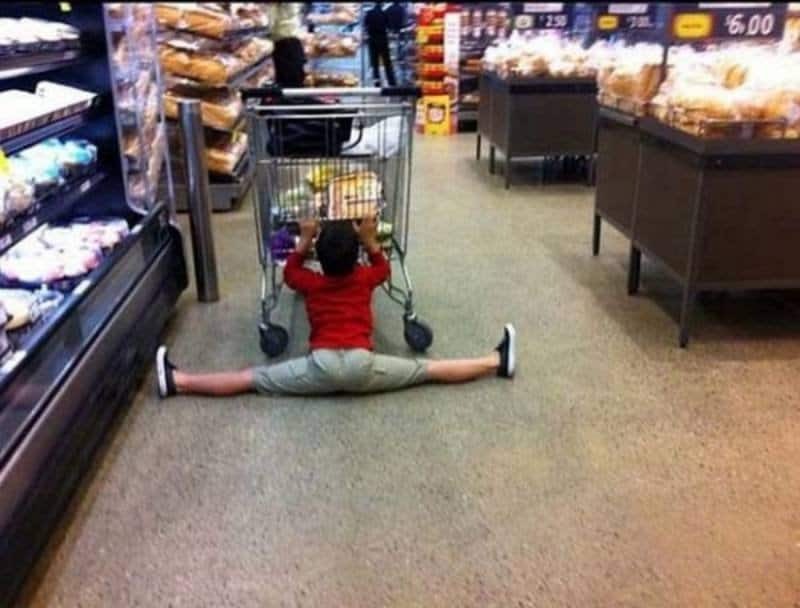 We almost have to give this girl a pass because of her flexibility. 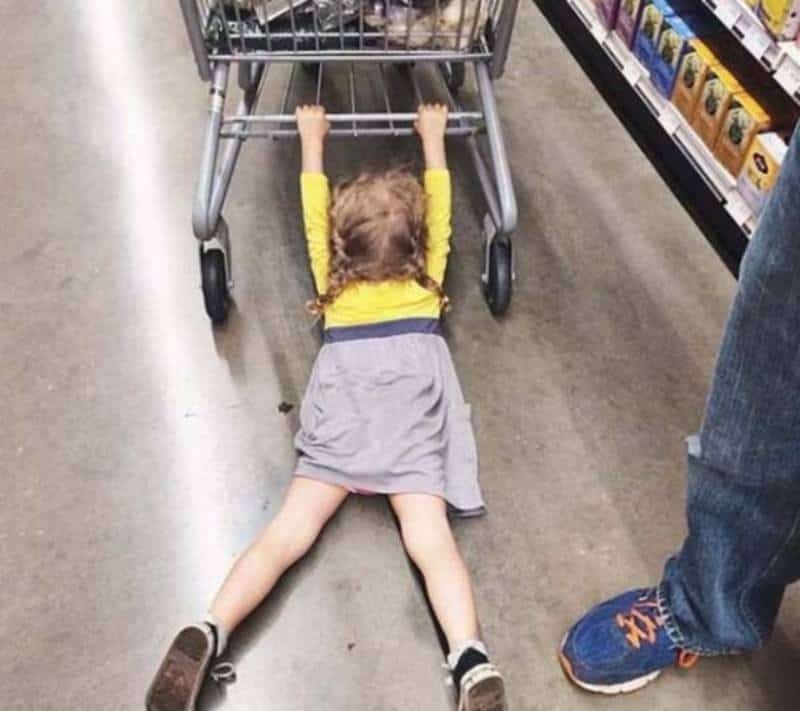 There’s also the impressive level of determination she’s showing in trying to get her mom to just … stop. It’s hard enough to get kids to put their things away at home. Imagine how much harder it is to do when they’re already bored and they just want to see that one little thing. 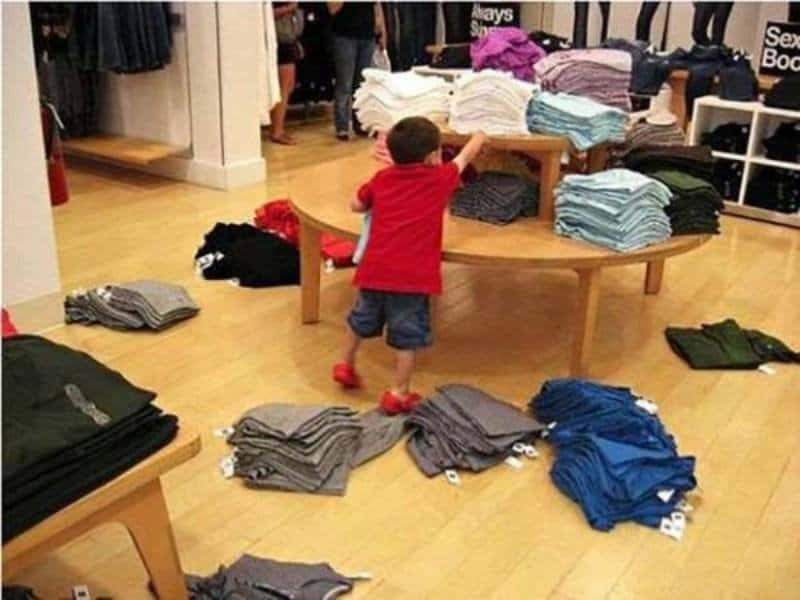 You have to give this kid credit, he managed to entertain himself. He managed to do it in the most obtrusive way possible, but still.